After 2 years of silence Attoya back again and finishing work in secret underground sound research laboratory. 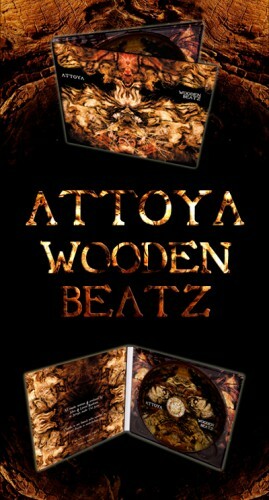 They have just synthesized some new sonic lifeform... Long awaited second album from Attoya "Wooden Beatz" coming very soon! Deep psychedelic atmospheres and recognizeble basslines and leads will hypnotise you and bring to wooden place fullfilled with unheard beatz and soundz, unseen wonderz, and untold mysticall expirience of magic forest. Страница сгенерирована за 0.612 секунд. Запросов: 29.